SuperImploder: Better than a water softener! 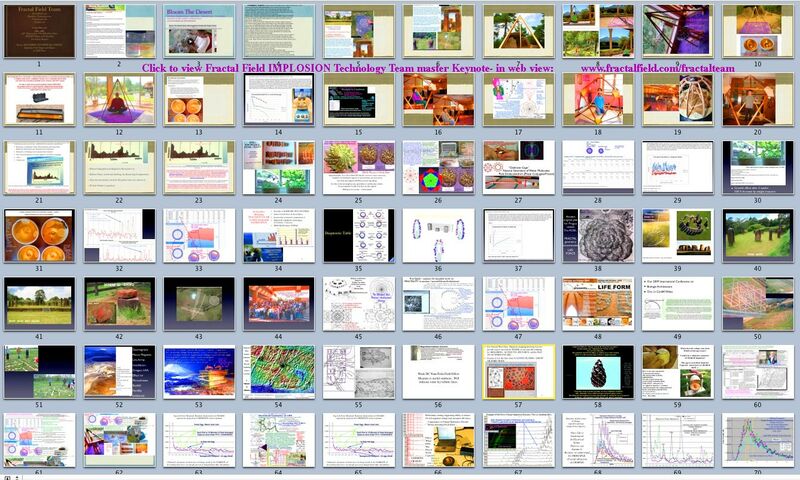 And - as so many people have subjectively reported- with the IMPLODER- that the chlorine smell in the shower is virtually gone..
and possibly most important a fairly dramatic move of Redox potential (5) in the direction useful to life! (redox IS fractality!)" 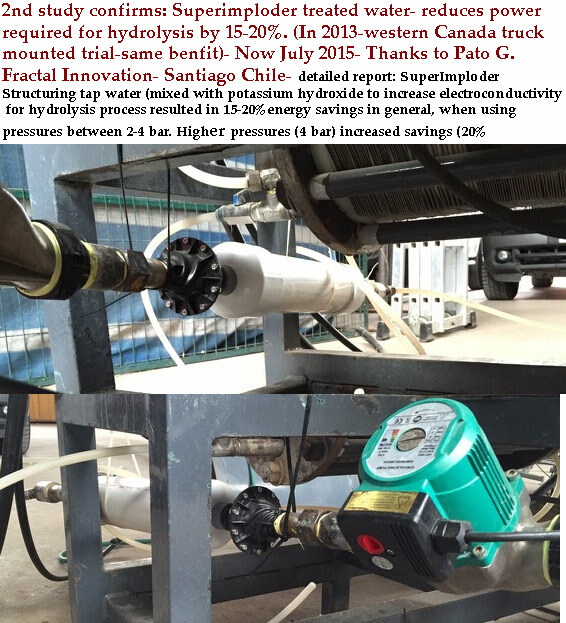 mounted trial-same benfit)- Now July 2015- Thanks to Pato G.
TEST APPARATUS: THE IMPLODER - phase conjugate hydrodynamic NOZZLE- from Dan Winter - is fitted to: A series of Neodymium Iron Boron magnets are precisely set in a unique design: “Phase Conjugate” position . Like poles of the magnet can actually attract each other. We utilize the enhanced 'z pinch' effect of our custom phase conjugate array. Each of the individual magnets had a 1/2" diameter hole at the centre to allow for water flow. The magnet array was attached to a diaphragm water pump which allowed for recirculation of water using a 20 Liter reservoir. Water was re-circulated for a period of approximately 15 minutes before measurement or experimentation. Measurements were made in reference to a saturated Ag/AgCl calomel electrode. 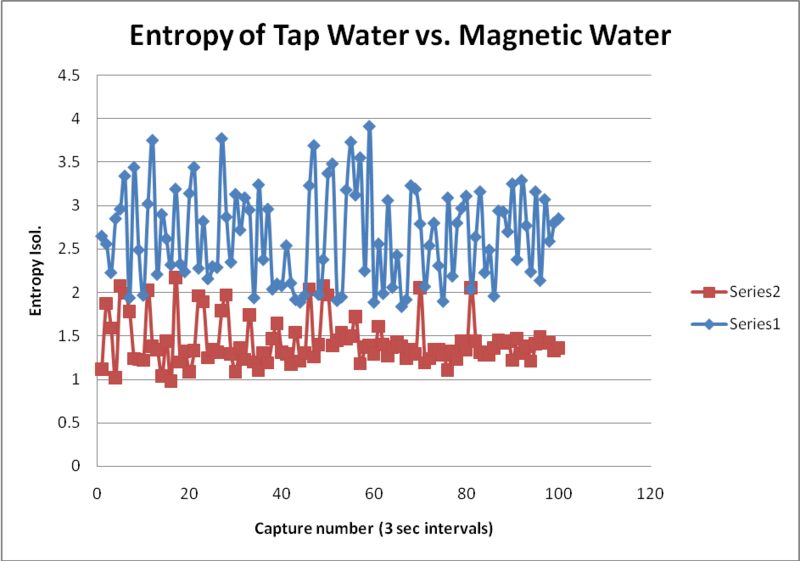 GDV Entropy results- Ordinary tap water (15L) was re-circulated through the magnet stack for about 15-20 minutes. A sample of this ‘magnetized’ water was compared to the original tap water prior to passage through the magnet stack. The two samples were analyzed using the Kirlionics GDV device with the water attachment plate which was submerged in 1 Liter of water in a glass beaker. 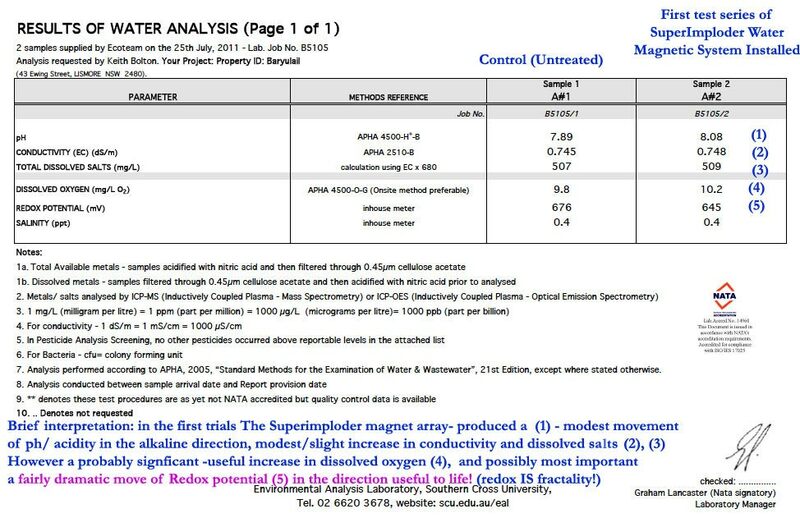 The results, shown below, indicate a 46% reduction in entropy of the magnet water compared to that of the tap water. 100 data points for each sample was taken for the measurements. Germination Results-Two individual germination studies were conducted using mustard seeds. In the first experiment, 25 mustard seeds were planted onto a square cotton mat inside of a shallow plastic container about 7 inches in diameter and 1.5 inches in height. For each experiment three dishes were set up prior to planting. One was used for the control water sample and the other two for the magnet water sample. In the first experiment 25 mustard seeds were planted in each dish and 50 ml of test water was added to each dish. The dishes were covered initially with paper towels and the evaporated water was replenished periodically as needed. After 7 days of germination the seedlings were weighed on an analytical balance to the nearest milligram. The results showed an average increase in germination yield of 12% with the magnet water compared to the untreated tap water. A second experiment was conducted in a similar manner except that 30 seeds were used in each dish and the dishes were covered with plastic wrap to avoid evaporation and subsequent water replenishment. 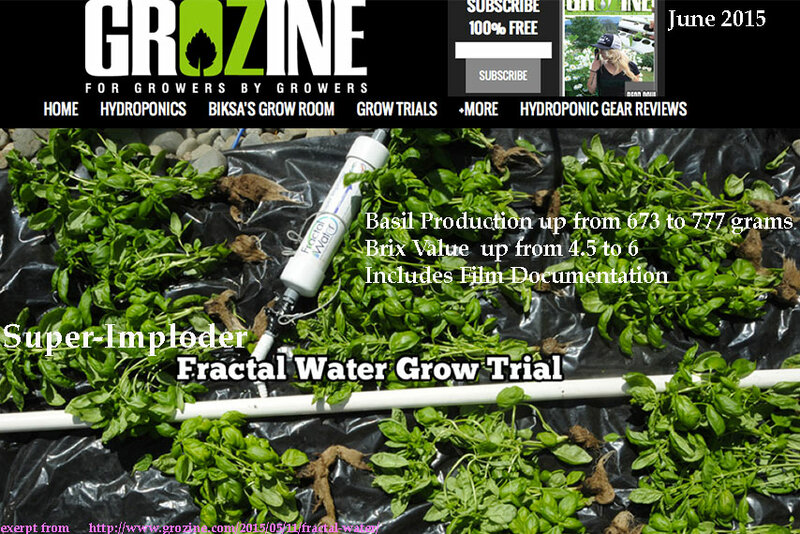 The plastic wrap was ideal since the initial water charge of 50ml was more than enough to keep the seedlings moist over a period of 7 days without having to replenish the water. The results of this study showed a much more prominent effect with the average germination yield of the two magnet water samples at 25% greater than the control water sample. That is a yield ratio of 3.28 to 1. Quite impressive. 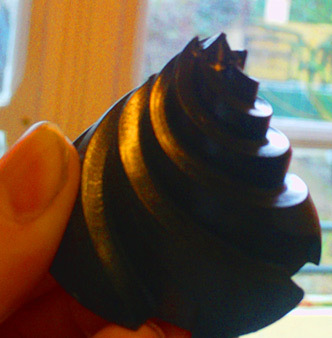 EXCERPT - the New IMPLODER- NOZZLE part is built of A NEW SUPER TOUGH FORTRON PLASTIC(see below spec)- so strong - it often replaces aluminum and brass. AND it can withstand much higher temperature and pressure! -As at TheImploder.com - the SUPERIMPLODER sells for 750 Euro.- However, we have a special offer if you are willing to do a comparison growth test- and do a short report with pictures- then we will offer the SuperImploder to you for 400 Euro.